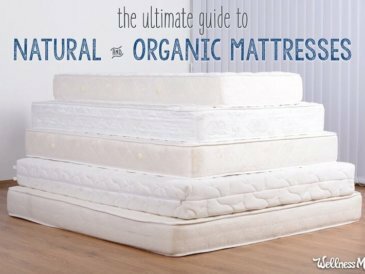 It only took a little research into finding a new mattress to learn more than I ever wanted to know about dust mites. Little critters related to ticks and spiders that live in your pillow, mattress, and furniture? Ugh! I mean, do you really want thousands of those cringe-worthy little pests in the picture above in your pillow at night? Not me! Sometimes ignorance really is bliss. But as much as we’d like to pretend dust mites don’t exist, their presence can really impact the health and happiness of our homes if we are prone to allergies. Want to know how to control dust mites and the symptoms they cause? Then read on! What Are Dust Mites Anyway? Dust mites are microscopic eight-legged bugs related to ticks and spiders. They live in our homes and feed on the dead skin cells we shed every day. Basically, they eat our dust. Since dust mites extract their water from the air, they prefer warm and humid places close to their food source. This makes the places we sit, lie down, exhale, and perspire prime real estate for them. Mattresses, couches, and carpets are dust mite magnets. What’s more, dust mites replicate very quickly. A female dust mite lays over 100 eggs a month in her short 2-3 month life span. In the right conditions you can have a serious dust mite problem in very little time. 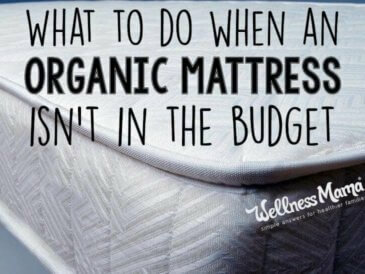 A used mattress can have between 100,000 and 10 million mites inside. A square yard of carpet contains about 100,000 mites. One study found an average of 16 types of fungi (a dust mite food) on pillows. The particles you might see floating in the air are mostly made up of skin flakes. Are you grossed out yet? I sure am! Although gross, the good news is dust mites do not bite, carry diseases, or draw blood like some of their relatives. And since we can’t see them, most of the time we are blissfully unaware of their presence. So other than being a creepy thought, why are dust mites a problem? You might not like the answer! 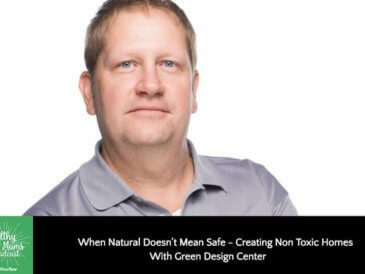 The real threat is what dust mites leave behind… their waste. There’s a lot of it in fact. A single dust mite can lay over 20 droppings a day. And those droppings are chock full of allergens to the human immune system. As if we needed one more reason not to have them around! Am I Allergic to Dust Mites? The short answer is probably, but it may not be serious. If anyone in your family has symptoms of congestion, coughing, or watery eyes especially when sleeping or indoors, you may want to consider dust mites as one source of your problems. Or, if anyone in your family has gastrointestinal issues, you’ll want to pay attention to dust mites. Most urgently- if anyone in your family has asthma, COPD, or a respiratory issue of any kind, dust mites are a very serious issue for you and you’ll want to take every step you can to control them. Dust mite feces (their poop) contain powerful digestive enzymes that actually allow the resourceful dust mite to eat and gain energy from its own waste. But for humans, these enzymes can be destructive. In fact there are over 20 allergens in a single dust mite waste packet, which can easily enter the human bloodstream when disturbed and sent airborne. If you’re not allergic to dust mites you may not need to do much about them. But there’s no doubt that decreasing your dust mite exposure could prevent a future allergic problem from developing, and it’s always a good idea to take steps to reduce toxins from dust in your home. There are chemical procedures to reduce dust mites, but of course I’ll list only natural methods of attack here! Here is an option that doesn’t use plastic membranes. The initial cost will be worth it to guarantee you can use your mattress without allergy problems and rest easy for a long time to come. A hot wash and a hot dryer is the best defense. 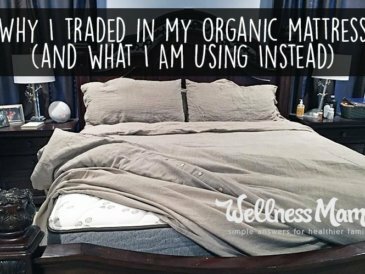 Wash pillows, sheets, blankets, comforters, and mattress pads often. Can’t wash it? Put it in the freezer for a night. Dust before you vacuum so any loose dust will be captured by your vacuum’s HEPA filter. Always use a wet cloth rather than dry dusting. I’m resisting the urge to stop writing and dust right now! While my favorite vacuum for quick use unfortunately doesn’t have a HEPA (High Efficiency Particle Air) filter, I definitely recommend one if you suffer from allergies. Keep in mind carpet is a dust mite haven no matter how good your vacuum is. Consider replacing carpet with hardwood which is easier to keep dust free and is inhospitable to mites. Back up your allergen fighting efforts by running an air filter in your home to remove dust particles before they settle. I really like this one. Decrease your indoor humidity to below 50% when possible using dehumidifier. When using a humidifier in the winter, keep it at 35-45% humidity. This will help dehydrate the mites and kill them off. Keeping your thermostat below 70 degrees Fahrenheit will decrease dust mites. Keeping your windows closed in the summer also reduces pollen in your home, a dust mite food. I recommend this step only if you have an allergy to dust mites, as indoor air contains more pollution and toxins than outdoor air. Do you struggle with indoor allergies? Do you think dust mites could be the cause? Please share any remedies that have helped you and your family!